Should Horn move up or return to welterweight? Jeff Horn, who ended Anthony Mundine’s career, has a real decision to make regarding his own career in either to move up in weight to either super-welterweight or middleweight, or return to welterweight to regain his world championship status. The former WBO welterweight champion lost his title to Terence Crawford in June and is looking to regain a world title belt. Thanks to his epic defeat of Anthony Mundine, winning the WBA Oceania and the WBO Oriental middleweight titles, Horn is now ranked fifth for middleweights in the world. Horn has never actually fought and the middleweight limit of 166 lbs or 72.5kg as when he fought Mundine the weight limit was 71kg or 157lbs. This weight limit is between the super-welterweight (154lbs or 69kg) and the middleweight division. With this ranking, he can make a claim for another title shot. WBO Middleweight champion Demetrius Andrade could be a potential next opponent for Horn, although Andrade does have a defence of his title coming up next month against Arthur Akavov. Horn could be a challenger for the winner of the bout. Adding to the fact that he has already been a champion with the WBO, this only helps his cause. WBA (regular) champion Rob Brant who is yet to defend his newly-won title could potentially have Horn as his first defence. Brant is ranked the tenth top middleweight in the world and could use Horn who is ranked fifth as an opportunity to prove a point a take that fifth ranking in the middleweight division. 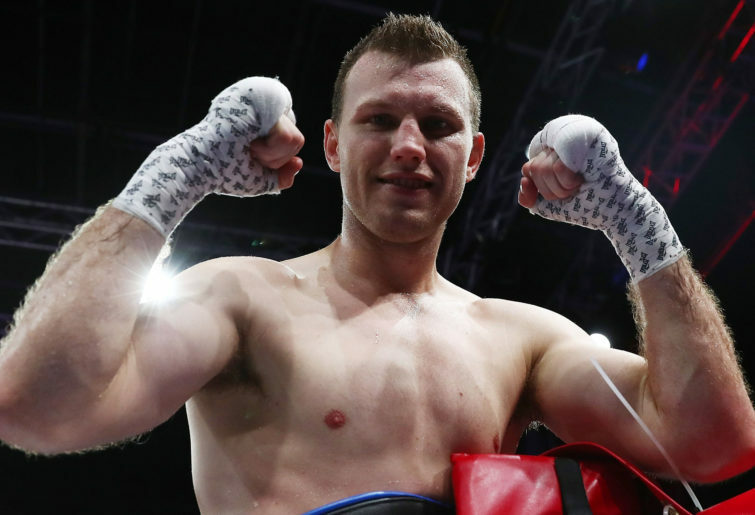 Horn could also drop to the super-welterweight division and make some noise in that division. Newly crowned WBC super-welterweight champion Tony Harrison, who just last week defeated Jermell Charlo, will no doubt be looking for a first defence of his belt and Horn could fill that space. WBO champion Jaime Mungula could also be in the pipeline, but considering the fact that Horn’s sparring Dennis Hogan is now the number one contender for that title, Horn would be better waiting for that fight. If Hogan is successful, it could result in another all Aussie huge title fight similar to Lester Ellis v Barry Michael, when the former sparring partners squared off for the IBF super-featherweight title. Horn has also said that he would like to fight Saul Alvarez, but considering he has his own decision to make regarding what weight he will continue to fight at considering his Super-middleweight triumph just recently, Horn is a long way for that fight. A return to the welterweight division, in my opinion, would not that be fruitful for Horn. Horn is now in his 30s and has had problems making the 147lbs, 66.6kg weight limit. Plus that division is the most highly contested divisions in boxing and Horn was completely outclassed by Crawford. Errol Spence Jr (IBF) champ and Shawn Porter (WBC) would light work of Horn and the extra weight of the super-welterweight or middleweight division gives the extra power that Horn needs to have an advantage over his opponents. 2019 will be an interesting year in boxing as it will be the first year without Anthony Mundine fighting (hopefully) and will give Horn a chance to make a new career move. So super-welterweight or middleweight, what do you think?